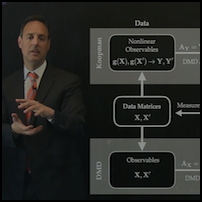 This video highlights the recent innovation of Koopman analysis for representing nonlinear systems and control. 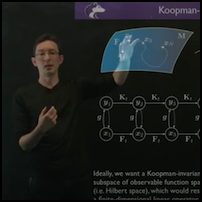 This video highlights the concepts of Koopman theory and how they can be used for partial differential equations. J. N. Kutz, J. Proctor and S. L. Brunton, Koopman theory for partial differential equations, arxiv (2016).